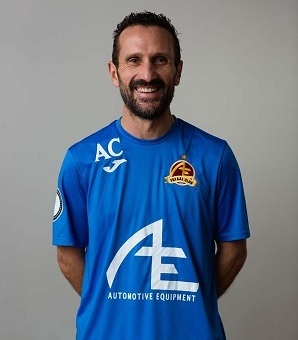 Today, we are interviewing the head coach of Automotive Futsal Academy in Zambia, former Prato Calcio a5 and Italian International Andrea Cristoforetti. 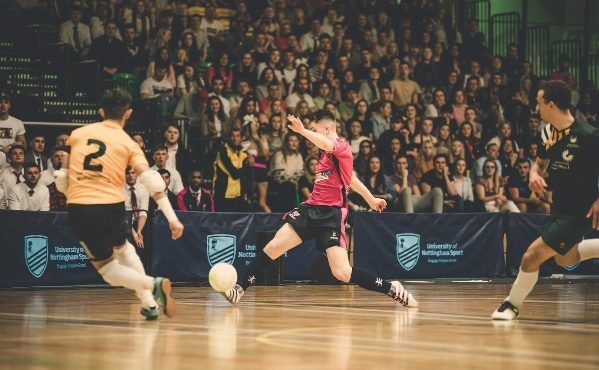 Andrea for Futsal Focus followers who are novices to the sport, can you please start this interview with a summary about yourself, how you got involved in futsal, playing career, coaches you learned from in the industry, your time in South Africa, etc? My father in 1967 followed his best friend to South Africa and fell in love with the country where he lived with my family until 1981. When I was 6 years old, he wanted me to go to school in Italy and decided to move back to his little town, Fidenza near Parma. In 1987 we moved again, this time to my mother’s town Pescara. During a summer futsal tournament in Pescara, Corrado Roma, one of the best Italian futsal coaches of all time, asked me if I wanted to start the pre-season with the Serie A team, Pescara Calcio a 5. I had no doubts because I was having so much fun playing the 5 a side game, and this is how I started my futsal career. The Pescara team had great players, stars like Marcuccitti, Patriarca, and Marchionne, I was around 19 years old, for me, it was a dream come true and from them, I’ve learned a lot about this beautiful and difficult sport. I have great memories of these years, I learned a lot and I made lifetime friendships with players like D’Alo’, Palusci, Di Eugenio and Alessandro De Barros, one of the first Brazilian players in Italy… and what a player! After a few years between Pescara and Chieti, I received the call from Prato, a newly promoted Serie A team. 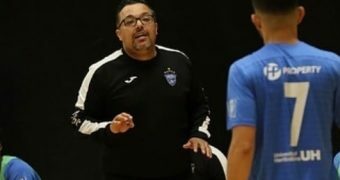 In Prato, after a few difficult seasons, Jesus Velasco was appointed as our coach, and that was a turning point for the team, my career and for Italian futsal. 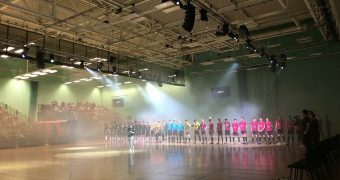 The Spanish coach brought a completely different vision of the game, Prato became the best Italian team winning all the Italian competitions and progressed to the semi-finals of the UEFA Futsal Cup. I was lucky enough to have played with champions and legends like Rubei, Quattrini, Bearzi, Chilavert, Sandrinho, Vicentini, Claudinho and Ranieri. I’ve also been privileged to play for the Italian National team, my first call up was for a Four Nations Tournament in Granada, Spain, it was a dream come true for me. I was young and my roommate was the legend Massimo “Pippo” Quattrini (I was almost scared to share the room with him, he was the famous one, now we are like brothers) and I had the privilege of playing with players like Foglia, Caleca, , Grana, Franzoi and Andrea Rubei , the most elegant futsal player, best Italian player of all time, it was just a pleasure watching him on the ball and it was a privilege to play with him, a futsal legend. I also got to meet international stars like Paulo Roberto. Playing for my country was an awesome experience. I can say that I have learned from all my coaches but especially from Corrado Roma and Jesus Velasco who is a friend and my real mentor. I’ve also learned valuable lessons from great coaches of other sports like Julio Velasco and John Wooden. 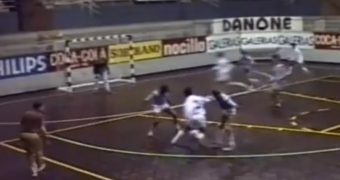 In many aspects, I see futsal more similar to basketball than soccer, though the game has changed tremendously. Today, it is much more physical, tactically teams are more prepared and the attention to detail is higher. After the Prato years, I finished my career playing for a few teams in the lower Italian divisions and then, I decided to move to South Africa. In South Africa, I helped the national team with the 2012 World Cup qualifier, an interesting experience where I got to understand the potential of African players but at the same time the limits of African Associations. 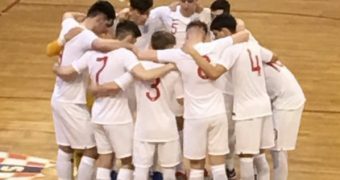 Most of the players were playing together for the first time, had no international experience and no tactical knowledge of futsal but the group was passionate and united. We managed to win against Zimbabwe (5-3 on aggregate) but we lost the third-round against Libya (10-4 on aggregate) coached by Pablo Prieto, an experienced team, too strong for us, who qualified for the World Cup. 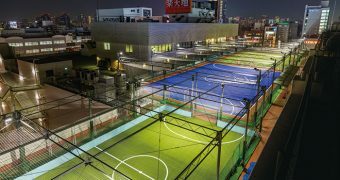 Can you tell us about the Automotive Futsal Academy project, who is involved, how was it developed that you have your own facility and what is its purpose? In 2016, I received a call from Mr Mehta, the chairman and founder of the Zambian futsal team, Automotive FC. We have shared the same vision and the same goal of developing futsal in Zambia. 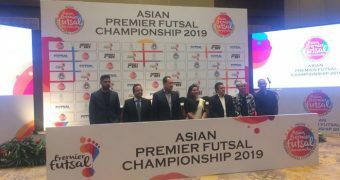 But the truth is that for any project, in order to work, you need resources and time, therefore, thanks to the passion, generosity, and long term vision of Mr Mehta, the first step was to build a dedicated Futsal Indoor Arena, because futsal should be played indoors and on a hard surface. This was the stepping stone for the growth of the sport in Zambia. The main objective of the Automotive Futsal Academy is to promote this beautiful sport and to develop futsal players. 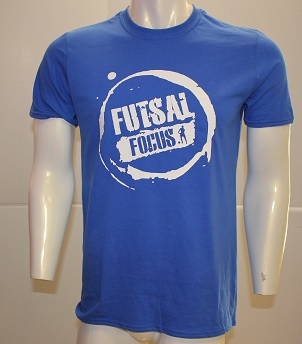 Through futsal, we also want to give our players the opportunity to succeed in all aspect of their life. You recently took part in the International Tournament “Memorial Alessandro Giglioli” against Italian clubs playing as high as the A1 in Italy. Can you tell us about that experience, how you measured the success of the trip for your players and what did they learn from the experience? The Italian Tour was the second International experience after the Dubai tour so we were looking for the players to continue building on their experience. In Italy, we played against different level of teams, ranging from the Serie A Italian champions Acqua&Sapone to a regional 4th division team. 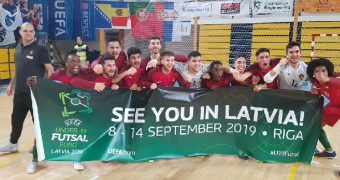 The only real way to grow is to compete, and this Italian Tour was for us a great and positive experience were the team experienced different styles of futsal playing in different environments. The team has learned that you cannot play this sport without a structure and without technical and tactical knowledge. This is where African futsal needs to grow. 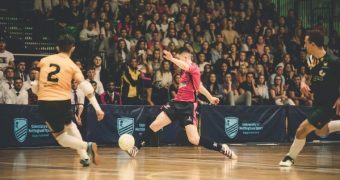 How long have your players been playing futsal and do you think they are ready to compete at the highest level in futsal? Most of my players are young, with an average age of around 21/22 years old and they have been playing futsal for the past 3-4 years. The oldest players have played the game for 6-8 years; the problem is that they have been playing it in a very casual way without real guidance. For the complete development of a futsal player you need around 10 years, there is still a long way to go and this is the way we have started the academy with players under 8/10/12. The real results will be seen in 6/8 years from now. 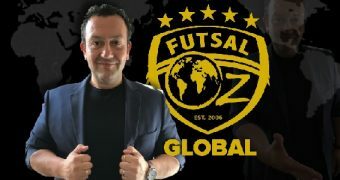 In my opinion, for us to be able to play at the highest level of futsal, it will be very difficult, to be honest almost impossible, at least at the moment; but after the Dubai and the Italian Tour we have proved that an African team made up of African players are able to compete at a medium international level. We are very proud to have won against experienced teams with Brazilians and Spanish players in their rosters. Have clubs shown an interest in taking your players to Europe or elsewhere? We had positive comments about a few of our players. One of them was about to go and play in Italian futsal for a Serie B team, unfortunately, the paper work slowed down the process and then he got injured. Another young player successfully spent two weeks with the B team of Movistar Inter who we are affiliated to. 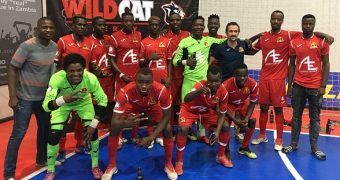 Your club will be taking part in the unofficial Africa Champions Futsal Cup in Morocco which is being organized by the Moroccan FA and Afric Sports. 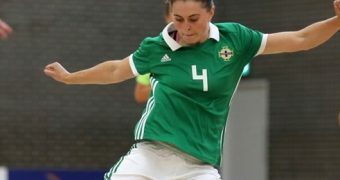 How did you get invited to this competition, what futsal developments are happening in Africa and what are your own hopes for the sport there? 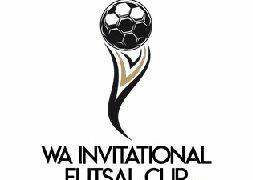 Unfortunately, a few days ago we received notice that the Africa Champions Futsal Cup has been cancelled, and possibly postponed. This is a real pity because it could’ve been a turning point for African futsal and a great opportunity for African clubs to compete against each other. These are the types of competitions we need in order to grow and gain experience playing real games were you are competing for something, not like a friendly game. 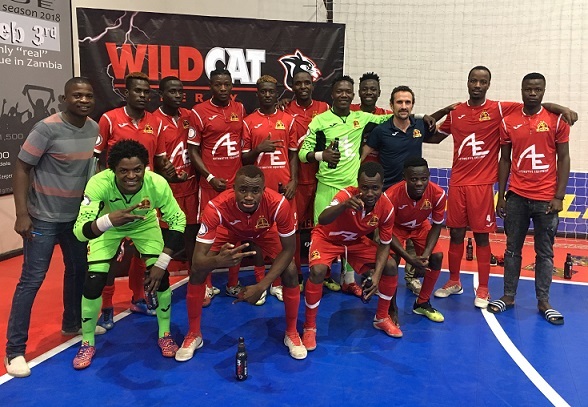 If we had won the African Champions Futsal Cup and possibly got the opportunity to be a part of the Intercontinental Cup it would have been a great reward for the club, playing against the best teams in the world is definitely an extraordinary experience. For the players to be able to feel the pace of the game, to witness the best technical and tactical skills, to understand the importance these teams give to all aspects of the game in such a detailed way is something that you can only fully realize when you are there, on the same pitch. 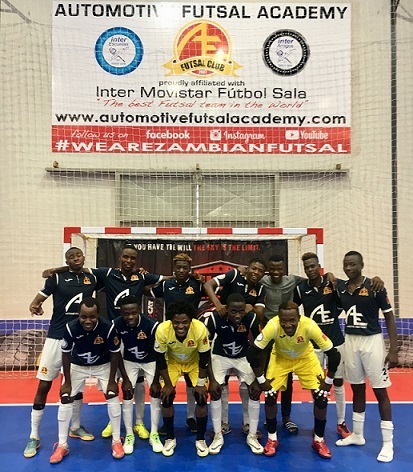 What is the plan for the Automotive Futsal Academy over the next 5 years, and what support is futsal development receiving in Zambia from the Zambian Football Association? The plan for our club is to grow, develop all aspects of a professional team, from the management to the technical side, but it is important to do so in a sustainable way, one step at a time. We are currently finishing the build of a property next to the Arena, a hostel with 11 triple rooms, this will allow us to accommodate teams from all over the world, and we are looking to organize an International Annual Tournament and also Futsal Clinics. Any international organizations or clubs reading this, please feel free to reach out and connect with us, it would be great to speak with you. We have structured the academy with an age specific program focusing the training to develop technic, decision making and mostly to enhance the kids’ creativity. We are talking with the Zambian Football Association, hoping to collaborate in a more active way to develop futsal in this country, but unfortunately, things seem to be very slow. 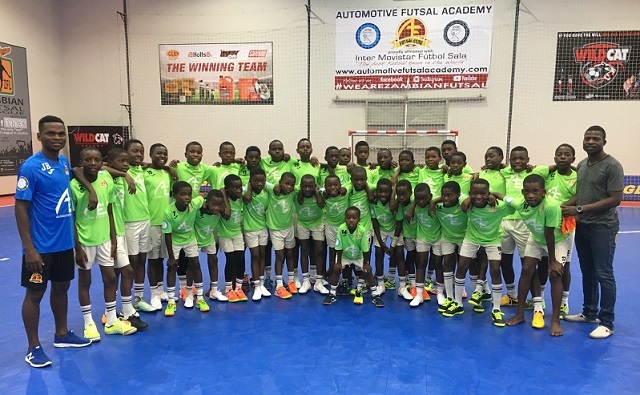 African Associations don’t value futsal the way other countries do, not understanding that if kids play futsal they will definitely be better footballers. 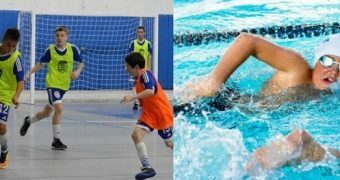 Senegal was recently awarded the 2022 Youth Olympics or commonly known as Dakar 2022, what are your thoughts on this opportunity for futsal development in Africa? The 2022 Youth Olympic Games in Dakar is a great opportunity to give exposure and the well-deserved recognition to our beautiful sport in Africa. The biggest challenge is that while in some countries youth activities are growing exponentially, in others like African countries, their growth is very slow and almost non-existent. I can guarantee you that most of the National teams will only start preparing for the event a few weeks before kick-off, and without the Federation’s support system, without a long term project, there will be no improvement if the former doesn’t change and is implemented.